Do you want to stay vigilant of what is happening to your property? Do you want to be alerted when any instruments purporting to sell or mortgage your property without your knowledge have been submitted to the Land Registry for registration? Being a property owner, the Land Registry’s Property Alert is surely your smart choice. By subscribing to Property Alert, if any instrument purporting to sell or mortgage your property without your knowledge has been submitted to the Land Registry for registration, the service will enable you to discover the situation at an early stage and take appropriate action such as seeking advice from lawyers so as to put your mind at ease. Receive an email alert of the delivery of any instrument for registration against your property, normally on the day following the date on which the instrument is delivered to the Land Registry for registration. Get relevant particulars of the instrument, including the date, nature, date of delivery for registration and memorial number, from the email notification. Be informed of the completion of or withdrawal from registration of the instrument. How is Property Alert useful to you? Helps you to detect as soon as possible any unexpected or suspicious instruments delivered for registration against your property so that you can take appropriate and prompt actions. Saves you time and money as well as provides an easy and convenient means for you to keep track of instruments delivered for registration against your property, whether solely owned by you or jointly owned by you and others. Your property is vacant or rented out or is not occupied by you. You are staying outside Hong Kong for extended periods of time (no matter you have rented out your property or not). You do not have the title deeds of the property in your custody or you have lost them. You want to be alerted as soon as your property is subjected to or may be affected by potential or actual disputes (e.g. bankruptcy order against the co-owner’s share, repair notice or order issued by the Building Authority, etc. has been lodged for registration). * The subscription is valid until change of property ownership, thus hassle-free as there is no need to renew the Service. To make an application, you must be the current owner shown on the land register of the property concerned and have to complete an application form for subscription to Property Alert (PDF format)(MS Word format) and submit the completed application form by post/courier service or in person to the Land Registry. For application by post/courier service, please submit your completed application form together with a copy of your identification document and an additional document for identity proof to our Customer Centre on 19/F, Queensway Government Offices or any of our New Territories Search Offices. Examples of the additional document for identity proof may include travel documents issued by the HKSAR Government, foreign passports or travel documents issued by foreign competent authorities, Business Registration Certificate (for corporate owner); utilities bill, Demand for Rates and/or Government Rent, tax return and bank statement; etc. As for other types of identity proofs, they shall be considered on a case-by-case basis. Please ensure that sufficient postage is paid to avoid unsuccessful delivery of application. Any underpaid mails will be handled by the Hongkong Post and the Land Registry will not settle the relevant surcharge payment for underpaid mails. For submission in person, please visit our Customer Centre on 19/F, Queensway Government Offices or any of our New Territories Search Offices with the completed application form and your identification document for our verification. If the application is submitted by a representative, your representative is required to produce his/her identification document for our verification together with an authorization form (PDF format)(MS Word format) (Annex II for an individual owner / Annex III for a corporate owner) duly signed by you. Your representative is also required to make a statutory declaration (PDF format)(MS Word format) (Annex IV for authorization by an individual owner / Annex V for authorization by a corporate owner) to support your application. If you are a current subscriber of 24 months subscription period and wish to renew the service for a selected land register, you have to complete an application form for subscription to Property Alert (PDF format)(MS Word format) and submit the completed application form by post/courier service or in person to the Land Registry. For application by post/courier service, please submit the completed application form together with a copy of your identification document and an additional document for identity proof to our Customer Centre on 19/F, Queensway Government Offices or any of our New Territories Search Offices. Examples of the additional document for identity proof may include travel documents issued by the HKSAR Government, foreign passports or travel documents issued by foreign competent authorities, Business Registration Certificate (for corporate owner); utilities bill, Demand for Rates and/or Government Rent, tax return and bank statement; etc. As for other types of identity proofs, they shall be considered on a case-by-case basis. For application sent in by post, please ensure that sufficient postage is paid to avoid unsuccessful delivery of application. Any underpaid mails will be handled by the Hongkong Post and the Land Registry will not settle the relevant surcharge payments for underpaid mails. For submission in person, please visit our Customer Centre on 19/F, Queensway Government Offices or any of our New Territories Search Offices with the completed application form and your identification document for our verification. If the application is submitted by your representative, your representative is required to produce his/her identification document for our verification together with an authorization form (PDF format)(MS Word format) (Annex II for an individual owner / Annex III for a corporate owner) duly signed by you. Your representative is also required to make a statutory declaration (PDF format)(MS Word format) (Annex IV for authorization by an individual owner / Annex V for authorization by a corporate owner) to support your application. If an application for renewal of subscription for a selected land register for another 24 months subscription period is duly made and delivered to the Land Registry before the deadline for renewal, namely, not less than 7 calendar days before the expiry of the current subscription period (“renewal deadline"), the subscription fee will be charged at the rate for service renewal. After the renewal deadline for a selected land register or after the termination of Property Alert for a selected land register for whatever reason, if you wish to subscribe to Property Alert for that same land register again, you are required to submit a fresh application and the subscription fee will be charged at the same rate as a new application. Since the launch of the e-Alert Service for subscription by property owners in July 2015, the subscriber had been given an option to apply for a unique Verification Code relating to his Subscriber’s Account to enable him to make application by post or courier service for service renewal or change of particulars. 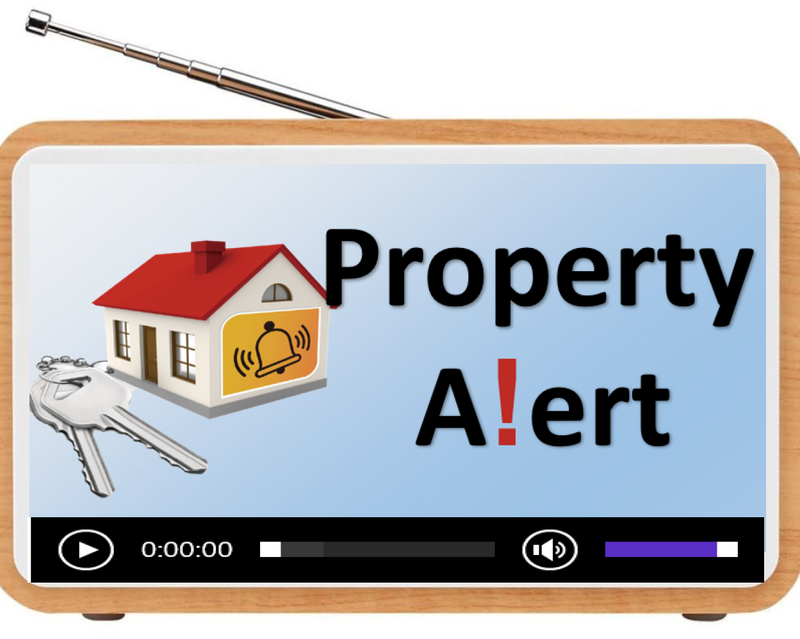 Upon the e-Alert Service was renamed as Property Alert with effect from 28 January 2019, the new subscribers will no longer be given the option to apply for a Verification Code and no new Verification Code will be issued. If you are a subscriber of the previous e-Alert Service and a Verification Code has been assigned to you, you may continue to use the Verification Code in making application for service renewal or change of particulars. In case a correct and valid Verification Code is provided in the application form, your application can be sent in by post/courier service or through personal delivery by your representative, in which case the requirement of production of identification document, additional identity proof, authorization form and statutory declaration as stated in Part II (a) above is dispensed with. If you are unable to provide the Verification Code in your completed application form, please also submit a copy of your identification document and an additional document for identity proof as mentioned in Part II (a) above. You may refer to the notes in the application form for subscription to Property Alert (PDF format)(MS Word format) for examples of additional proof of identity. If an incorrect or invalid Verification Code is given in the application form, your application will be rejected and you will be notified to submit a fresh application. You shall take all possible measures to prevent abuse or leakage of the Verification Code, and shall bear the risk of all adverse consequences due to any abuse or leakage. Our service hours are Mondays to Fridays from 9:00 a.m. to 12:30 p.m. and from 2:00 p.m. to 5:00 p.m.
During the subscription period, if you wish to change your account information or subscription details, you have to complete an application form for change of particulars (PDF format)(MS Word format) and submit your completed application form by post/courier service or in person not less than 7 calendar days before the intended date of change specified in the form to the Land Registry. If you are a subscriber of the previous e-Alert Service and a Verification Code mentioned in Part II (c) above has been assigned to you, you may continue to use the Verification Code in making application for change of particulars. In case a correct and valid Verification Code is provided in the application form, your application can be sent in by post/courier service or through personal delivery by your representative, in which case the requirement of production of identification document, additional identity proof, authorization form and statutory declaration as mentioned above is dispensed with. If you are unable to provide the Verification Code in your completed application form, please submit a copy of your identification document and an additional document for identity proof as mentioned in Part II (a) above. You may refer to the notes in the application form for change of particulars (PDF format)(MS Word format) for examples of additional proof of identity. If an incorrect or invalid Verification Code is given in the application form, your application will be rejected and you will be notified to submit a fresh application. Property Alert subscribed for a land register will be terminated if the subscriber ceases to be the current owner of the property concerned or if the land register has been closed by the Land Registry (e.g. creation of a new land register in replacement of the previous one due to subdivision of the land). Under these circumstances, a termination notification will be sent to the subscriber by email. The subscription fee paid will not be refunded.